The first match of the day in what is another dreamy schedule in Monte-Carlo will see the defending champion, Stan Wawrinka go up against Grigor Dimitrov. 15 of the 16 seeds in the draw have gone through to the third round promising a great day of action. Wawrinka faced a dangerous first match on clay against the in-form, Juan Monaco. After suffering losses to Robin Haase and Adrian Mannarino in Indian Wells and Miami respectively, Wawrinka started on a clean slate for the clay court season with a reasonably comfortable, 6-1 6-4 victory. Wawrinka began the year in fine form, winning two titles in Chennai and Rotterdam, and reaching the semi-finals of the Australian Open. However, since Rotterdam, he had lost more matches than he had won before this tournament. He remains an inconsistent player, but one that you cannot ignore. 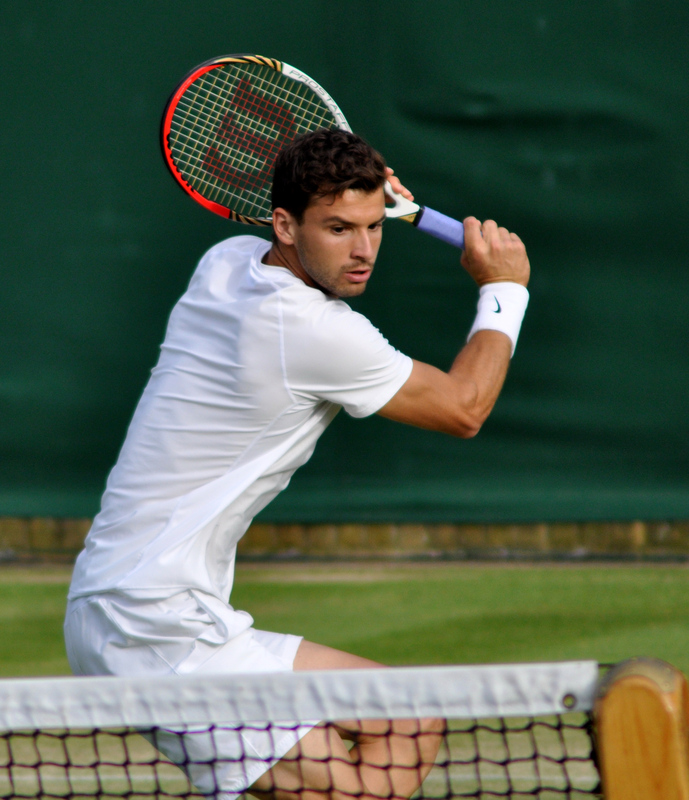 Since a gutting fourth round loss to Andy Murray in Melbourne, Dimitrov has been stuttering. Two wins in Monte-Carlo has been an encouraging development for Dimitrov and a feat he hadn’t achieved since the Australian Open. His first round win over Fernando Verdasco was a real confidence boosting victory. In an excellent encounter, Dimitrov was forced to come back from *0-40 down when serving for the match and save seven break points before finally serving out the win, 6-4 4-6 6-4 in two hours and 27 minutes. Dimitrov backed up that win over the Spanaird with a much cleaner performance in a straight sets victory over Fabio Fognini, 6-3 6-4. Dimitrov served particularly well with 75% of first serves in and winning 83% of points behind it. April 15, 2015 in ATP, Dimitrov, Monte-Carlo, Wawrinka. I agree with you picks except for Cilic over Tsonga, probably wishful thinking, and I’m going to go on a limb and say Monfills beats Federer (or its an easy straight sets win for Roger). Cilic v Tsonga is an interesting one. Not quite sure why but felt very decisive in picking Tsonga. Cilic just anyhow managed to overcome the first round, the match could have gone to the German , Cilic was lucky to manage somehow.I still feel he is not upto his 100% fitness and even Tsonga is on a comeback spree.Will be an interesting match to watch but it will be over in 2 sets with Tsonga’s win.Monfils form is not that great after that injury that he can trouble Roger..It will be an easy win for him. Monfils game really bothers Fed. I think not being the crowd favourite REALLY gets to him and Gail knows that. And with Cilic, like I said, it’s wishful thinking. But he has the game to beat Tsonga. He can do everything John can do much better. I couldn’t agree with you more on all the eight ATP match predictions, but still feel one or may be maximum two upsets are on the corner.Also Berdych’s match can strech to 3,Agut is very unpredictable, you never know when he can come with a set of brilliance and also doubt Wawrinka’s form. Andreas could upset Nole, that dude is playing well. I hope Novak and Roger gets send home. Yeah I can’t see Djokovic getting beaten. But he could well have a difficult match. He has admitted to being fatigued and it can often take him a while in a match to find a rhythym against new opponents. I think Marino has a bit of chance to make an upset. Panova will also find it difficult to get going if she is not at her best.Her game has not quite got off after that Sharapova’s match in AO. All the Bogota matches look like they could go either way to be honest. Seems a “Day of Upset” at Monte Carlo Today….lets see if Jokovic holds it…he will be the biggest of them all if he gets a boot like Roger got. Yessss @ Cilic and Monfills both coming through. Good win for Cilic. I saw the second set TB of Fed v Monfils, quite a few errors from Fed right at the end. I’ve had a pretty ropey day! I’d go for Monfils in 3. I’d go for Monfils. I haven’t watched enough tennis this week to make valid arguments but i’d (surprisingly) have more faith in Monfils over Dimitrov. The inconsistency of Monfils is the reason i am not going with him. Anyways i am staying away from markets for this one seeing no value in this match because of Monfils unpredictabilty.You never know which version of Monfils is turning up.The one against Federer or against Kuznetsov. Am very confused for the Berdych vs Raonic one, seeing yesterdays match in which Raonic was not very comfortable with his serve and less number of aces that led the match extended to 3 sets with Robredo.I guess thats the reason for so short odds for Berdych which shouldn’t be.Any comments and insights? For Berdych-Raonic, i’d take Berdych… mainly because of Raonic’s injury. Yeh how about nadal vs ferrer?? Nadal in 2.. I think Ferrer is playing more convincingly than Nadal, but I’m hoping Rafa goes through as I want a semi between him and Djokovic. I guess it would be Rafa in the end after 3 long hard fought sets. Ferrer is a tough nut to crack. Its all on Nadals racket really. He’s the one with the bigger weapons. All Ferrer can do is force him to rack up ufe’s, but that’s something he’s very good at doing. I’m more interested in the Cilic vs Djokovic match. Marin showed Tsonga the game that won him a Slam. And Cilic vs Djokovic @ Wimby last year was one of my favorite matches of the whole year. David Ferrer really playing some shockingly bad tennis right now. I can’t say I’m overly impressed with Nadal but we’ll see tomorrow against Djokovic I guess. Yeah, its just a shame that he has to be down and out before he plays like this. He’s really working Nadal over now and Rafa is playing pretty damn well himself.